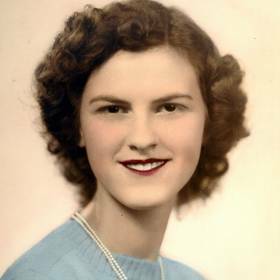 Maxine “Max” H. Schrader, age 89, passed away Tuesday, February 09, 2016 at The Woods of Caledonia. Maxine was born in Racine, August 1, 1926, daughter of the late Max and Francis (Nee: Cremer) Erhardt. 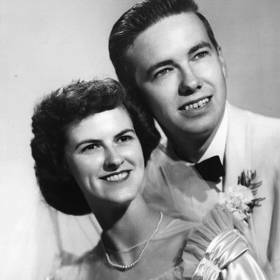 On September 1, 1951 at Holy Name Catholic Church she was united in marriage to Rodney “Rod” W. Schrader who preceded her in death, October 6, 2007. 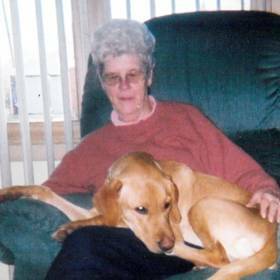 She was a longtime member of St. Paul the Apostle Catholic Church. 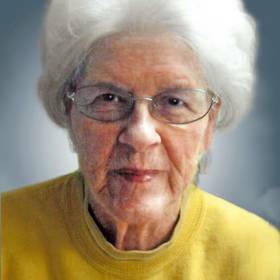 Her pastimes included bowling, golfing, sewing, quilting, baking and cooking. More than anything she devoted and treasured time spent with her family. 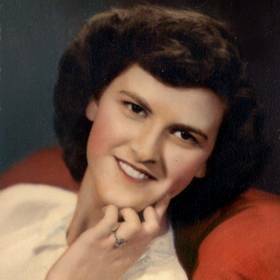 She will be dearly missed by her daughter, Diane Schrader of Racine; 4 nieces, Jackie Fredrick, Mary Pierce, Ellen Carrier, Julie Schrader; other relatives and friends. In addition to her parents and husband she was preceded in death by her brother, Rodney (Bernice) Erhardt; sister, Marcella (Leonard) Carrier; and niece, Pamela. A Mass of Christian Burial will be celebrated Tuesday, February 16, 2016, 11:00 A.M. at St. Paul the Apostle Catholic Church, 6400 Spring St., with Rev. Terrance J. Huebner officiating. Relatives and friends may meet with the family Tuesday at the church from 10:00 A.M. until time of Mass at 11:00 A.M. Private entombment will be held. Memorials to St. Paul the Apostle Catholic Church or to the Alzheimer’s Foundation have been suggested. A special thank you to the staffs at the Woods of Caledonia and Hospice Alliance for their loving and compassionate care.